COAnalyzer is a new, completely free benchmarking tool for managing your oncology practices. It allows practices to maximize operations with real-time data. Free to COA members, COAnalyzer gives physicians and their management team access to real-time data on how they are performing and how their performance compares to peers, including 25th percentile, mean, median, 75th percentile and your practice’s exact percentile. 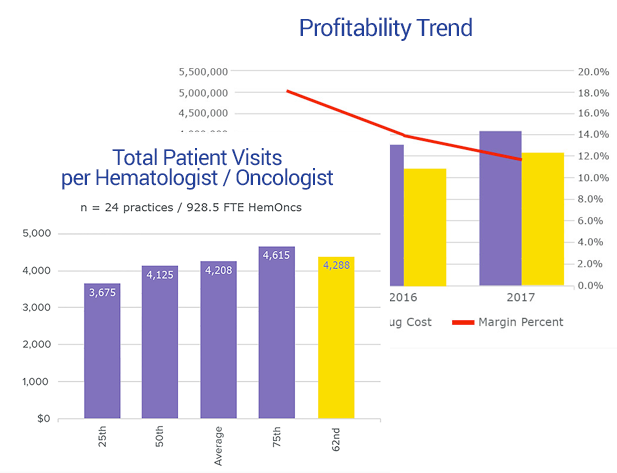 Benchmarking is a powerful way to understand how your practice is doing compared to other oncology practices nationwide. You will see where you are succeeding and also where there may be opportunities for improvement. 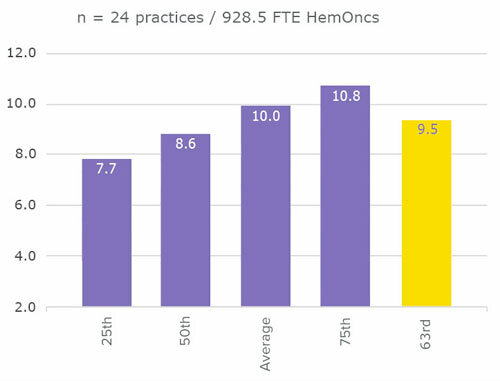 Is your staffing level higher than most other practices? Are there ways you can improve revenue cycle management ? Can you see more patients? How do your operating expenses compare with others? These questions can be answered by utilizing the power of COAnalyzer and the continual stream of learning and information sharing. Throughout the year, COA will provide newsletters and webinars to supplement the information contained in COAnalyzer and give you more indepth insights for running your practice. Everything uploaded is CONFIDENTIAL and practices are never associated or identified with raw data – only aggregate results and highlights are returned. Practices can enter as much, or as little, information as they choose into COAnalyzer and will be provided with reports in return. For example, if you input only your procedure counts for E&M CPT codes, you will see how your practice codes compare to others, number of patients seen and several other benchmarks related to just these inputs. You can also create your own dashboard to show the most important benchmarks for running your practice.